Galaxy NGC 185, by Michael Oates. The camera (Zenith) was mounted on a home-made equatorial drive. Guiding was undertaken with a 50mm refractor. The width of this photo is one degree across. 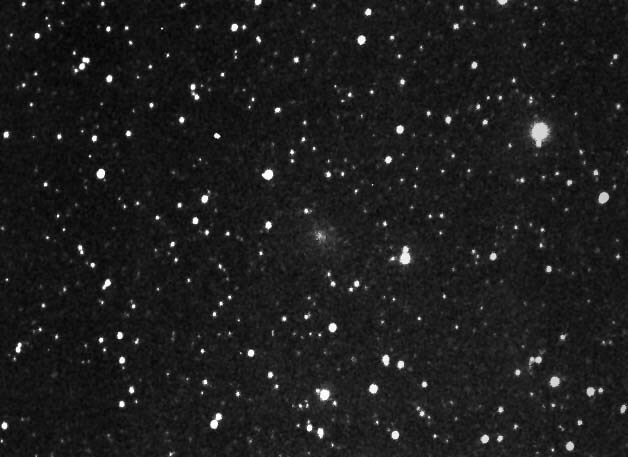 NCG 185 a companion of the Andromeda Galaxy M31 is quite a faint galaxy to photograph, as its surface brightness is very low, at about magnitude 11.8. NGC 147 another galaxy lies close by.